Is the Viliv S10 Too Expensive? What are the Alternatives? The very interesting multitouch-capable Viliv S10 Blade is imminent and baseline pricing has already been set at $699 by Dynamism. After we posted that news though, someone managed to reveal the full Dynamism pricing structure for the devices and there’s been a big discussion, mostly negative, going on in the comments section. Note that these prices are unconfirmed but they look correct to me. I already predicted $1200 for the high-end versions. Note that the entry-level version does not support multi-touch (although an upgrade to Windows7 should enable that) The 2.0Ghz version starts with a 64GB SSD at a shade under $1000. A quick comparison to my current convertible touchscreen device, the Gigabyte Touchnote T1028M, which runs 2GB on a retro-fitted 64GB SSD and 3G, tells me that the S10 is not something I should be upgrading to UNLESSâ€¦. I want a lighter (by about 400gm) device. My worry with the S10 though, despite the advantages, is that Windows7+1.6Ghz+SSD might not be fast enough to give an noticeable improvement over XP. Indeed, based on RAM requirements, the device could run into memory problems after extended or heavy use in which case. The same issue is true of the 2.0Ghz versions. I would personally choose XP as the OS under 1 GB scenario and that renders the multitouch screen useless. Clearly there’s nothing out there that exactly matches the specifications of the S10. If the SSD is fast it will make a lot of difference to the performance of the device. The Menlow platform should also help with battery life too although do remember, the battery life is untested at the moment. Upgrade prices for a Touchnote T1028X. SSD Retro-fit â€“ 64GB fast SSDs such as the one I use in my Touchnote are around 200 Euros. Home Premium upgrade: 67 Euros. Single-to-multitouch upgrade: (Not recommended due to warranty issues) Around 100 Euros. Example: Total upgrade cost for 64GB/3G/2G is around 420 Euros bringing the price of a Touchnote T1028X with single touch screen to around 890 Euros which is going to be very near the Dynamism price for the high-end 1.6Ghz S10. The advantages of buying the S10 are: 200-400gm weight saving, better looking, multitouch, hardware video decoder. Or, you could stick with the ASUS T101MT with the 1024×600 screen for 499 Euro. Add a USB 3G stick and SSD for 250 Euros and you’re at about 750 Euros. For some, in fact many, I think this could be the choice they will make. Personall, the Viliv S10 Blade has come in at about $100 more than I expected but when I calculate what I’ve spent on my Gigabyte Touchnote to bring it up to similar specs, the cost is much the same. The S10 isn’t actually that OTT considering it’s not a netbook and only two years ago, you would have dreamed of such pricing! Having said that, even considering the advantages of the S10, there’s no major reason for me to upgrade my Touchnote for the S10. What do you think? Did Viliv price the S10 too high or, considering the battery life and SSD advantages, is it acceptable? It cost to much, also you the brand viliv is not so popular in Europe if you want to sell the device. I get this experience at the moment because I sell my S7, not many interested buyers. Good-point. Resale value of lesser known brands is low compared to well-known brands like ASUS. If your point is that it’s competitively priced against other convertible netbooks, then yeah, you’re right. But that doesn’t mean it’s not still too expensive for the netbook market, in general. I’d guess that for most folks, myself included, see having a convertible screen on their netbook as a luxury, not a necessity, and so it’s hard to justify virtually doubling the cost of an otherwise standard netbook just for that touchscreen. Granted, my disappointment stems mainly from my own inflated expectations. Looking back, it was probably unreasonable to think it would be priced significantly cheaper than it is. That said, there’s no way I can justify buying a netbook at that price, touchscreen or no. I have an Asus T91. It’s a really great device but it has some flaws I really dislike, the biggest being glossy screen! Which is partly due to the touchscreen layer. The fact is, I ended to conclude that I’d be willing to forget the slate/convertible advantages considering this kind of device: a 1.5-1.7Kg “netbook” (much more a subnotebook actually) with 11-13 inches screen (1366×768 res), Intel CULV CPU, maybe nVidia GPU (Optimus would be fantastic) and a MATT display, or at least some non-matt but still anti-glare display. You’ll find that such devices exist, in particular in the price range where the Villiv S10 is. So OK the device will be several hundred grams heavier, somewhat bigger (but still small enough I guess), and it won’t be convertible nor touch-screen enabled. But it will be much more powerful, and much more useable with the matt/anti-glare display, bigger keyboard, more ports. In the end it’s all about compromises. Take a look at your personal uses and choose something that matches best them, and your budget. Oh, and in case you were wondering: the second biggest disappointement I have with the T91 is with the GMA500. OK it can hardware decode videos, that’s great — as long as you succeeds in using it! Basically the drivers for GMA500 worth nothing, either that or the chip itself, I don’t know. The T91/GMA500 is OK for Office work and for surfing the Internet but that’s all in my opinion. Forget all games — the driver is too buggy for the old ones to play properly, the chip is too weak to power not-too old ones. Oh, wait, emulation is OK but then the touchscreen is of no use. And about the videos, again — the GMA500 can hardware-decode them, it’s great, but you must use the proper software, and some weird stuff can occur that doesn’t with software rendering. Frankly hardware-decoding videos saves a little battery life, but not that much. The only positive thing about GMA500 is it’s power consumption. That’s all. I stringly advise everybody against buying a GMA500 device in hope of using it for something else than mobile productivity. I was wondering… Wasn’t the base version coming with a 60 GB HDD? There are severall unique selling points about the viliv s10: It comes with a practical matte design, including the screen, it is fanless and it comes with an SSD. The HD screen is another convincing point, though it’s also available at the touchnote. The fanless design ( unless I’m mistaken about that ) is what really sets the device apart from the competitors for me – sadly that and the SSD where dropped going from Asus EEEPC T91 (which has too small a keyboard for me) to the T101MT. The price sure is high for the specs of the low end version, especially as windows XP with the cheap UMPC-licence is pretty close to “for free” for manufacturers, which reduces the price by around 100$ (as seen in the s10-princing). On the other hand the component prices are a little bit driven by a big battery, SSD and the HD screen. I suppose that justifies a 150$ increased price, something the like. So, going merely by components a price of about 50$ above S10-3t or T101MT seems justified, therefore 520-550$ compared to S10-3t and EEEPC T101MT. But well, I suppose they aim at high margins by selling the device with it’s unique traits rather than as a mass market device. By the way, in the device comparisons the HDD sizes of S10-3t and T101MT seem fishy to me. What’s the difference between the WinXP version for $699 and the Win7HP $797? This move just turns people off. Windows XP licenses should be pretty cheap by now. I looked at amazon, Windows 7 Home premium costs 180$ for private customers. So an ~100$ difference in pricing seems pretty reasonable. Rather I consider it nice to have the option for a cheap OS, which isn’t too much waste when switched with linux and still available as a functional OS if linux doesn’t work properly on the device. it’s freaking expensive…i was waiting for this since last year 2009 but when i found out this device is very expensive i lost hope. How this thing is very expensive with 1 ram? even my eee pc 1201n is better than this. First its running windows 7 ultimate with 8gb of ram and running 1.60ghz……and I only got this for 484.00. Well i guess I have to wait for the viliv n5 and hope its cheaper than this. My take on all these x86 touch netbooks and tablets, and even netbooks in general, is that there’s not much point. The Atom, and the form factor, are so limited that I’m fairly sure ARM and Android or some flavor of Linux can do the same thing, for a lower cost… and for a longer time. Except games. I’m personally holding out until some ARM devices come out. On that games thought….a popular platform for games dev right now = iPhone = ARM! Let’s hope for a convertible there. So far I’ve only seen classical notebook designs (except for lower weight and thickness), probably with touchscreen though (pretty inconvenient for ebook reading, when the keyboard is in the way), and tablets. By the way, there are several good open source games and I noticed some old games (except for such with bugging copy protection) may run better with wine than Windows XP. Games are more an issue of computation power on netbooks anyway. If this had an active digitizer then I’d be interested. All I want is something small (10″ max), thin, light, good battery life and a Wacom active digitizer/touch screen combo. Is that too much to ask? Obviously it is! Chippy thanks for this post. It’s interesting to hear everyone’s opinions and comparisons. This is an undeniably good looking piece of industrial design. Its convertible touchscreen, (presumably fast) ssd and fanless features are what really sets it apart from the rest. The fact is there are really only a handful devices on the market that have this feature set. I have owned the T91 AND T91MT (along with all of the Nokia tablets) and once you’ve gotten used to having a touch screen device for surfing the net its hard to go back to a touch pad. The only disappointment I had with the T91 was the 1.3ghz processor and the average graphics capability (although recently new drivers have helped this). Ultimately people need to determine is it worth the premium price to have basic netbook performance in a really enjoyable form factor. In my opinion comparisons cannot be made between these types of devices and regular laptops/netbooks because touchscreen devices offer an alternative ways to interact with them. For me I really enjoyed using my finger to hit links directly on a screen. It felt much more efficient and made me feel like there was less fatigue on my wrist from using a mousepad to control the mouse. Where I think the s10 potentially fails is creating a base model that doesn’t employ any of the features that it is designed to do. It will run XP on a slow 60gb standard harddrive. No multitouch features here and all models are limited to 1gb of ram. Is a $300 premium over the new asus t101mt worth it….MMMmm not in my opinion just yet. I would rather do a ssd swap at a later date and have access to upgradable ram to properly run W7. Or maybe I will just get a laptop for real productivity and pick one of the new arm based smartbooks or tablet for couch surfing? As chippy mentioned these specs and prices would have been much welcomed two years ago but now seem to be a little too behind the times. As a side note, I had ordered a custom HP mini 5102 with capacitive touchscreen at the beginning of the month but decided to cancel it for two reasons. Firstly it still hadn’t been assembled after 3 weeks and I was getting tired of waiting. Secondly reports were coming in of a constantly running noisy fan (which I hate!). For those curious it was $600 shipped had a Broadcom HD accelerator, 2gb w7 premium all housed in a anodized aluminum and a magnesium-alloy case. Just not convertible. “…is it worth the premium price to have basic netbook performance in a really enjoyable form factor” almost sums it up for me although I’d add some productivity elements in terms of battery life and touch to that. Another alternative I consider is Dell XT2 from outlet.dell.com. Little bit bigger but not much and cost is around $1000 with warranty and offers DLV screen. S10 battery life though won’t be beat by any of these. I’m still interested in the S10 2.0 GHz if it can playback youtube 720p plus has a decent review. I wonder if 1GB is really enough to get decent perf. pricing is close to the recently launched HP TM2. The lower end doesn’t look like much. Very on the fence with the higher end. Problem is when you get up to the $1k range–we start expecting more and we start to dither (should we wait 3 more months in the hopes of usb 3 or faster processors for instance). Before I’d even consider laying out the kind of money, I’d have to see reviews from the best review sites like this one. I would like to see comparisons between this and the TouchSmart tm2t tablet PC also. Be interested in any surprises (such as palm rejection capability on either device). And either one at that price would REALLY have to give a good multimedia experience. So the question becomes can the ram be upgraded. Because if it can I’m buying it. Thats a black mark but i’m still going to consider it. By the time I would be in the model that I wanted ($857 for the 64GB SSD and no 3G(, I might as well pay the price for a full-blown TabletPC. I really want an ultra-mobile tablet-oriented device that I can ink on. But it needs to be offered in a price bracket that is in a difference economy of scale from full-TabletPCs. A 12″ TabletPC is not much bigger than this (such as my HP EliteBook 2730p); heavier, sure. But not so much so that it is not a better buy (for me) stacked up against the S10. If PC makers really want to make this sub-sector of the Marekt go, they need to stop offering devices based on full Windows OS’, and they need to offer them cheaper. I would have preferred a WinCE device that was half as much or less. As priced, the S10 is not a device that I will ever consider until its price comes way down. For anyone not watching the MeetMobility live feeds, apparently jkk is due to meet with Viliv tonight to receive an s10 for review. The best alternatives ive seen. Dell XT2 and the Lenovo x200 tablet, both refurbished for around 1200 total. Actually, I like the S10 2ghz model… (â—¦Viliv S10/2.0GHz/64ssd â€“ IntelÂ® Atomâ„¢ Z550 2.0GHz 64GB SSD Windows 7 Home Premium. $987.00 ) It has the power , battery life I need and I like the SSD. Like stated , My only concern is that I think 2gb of mem would be nice with Win 7. Is the the mem module replaceable?? This device is totally awesome: light, table, stylish, 10 hours battery, high-res screen, etc… but for $1000’ish it’s too expensive for an Atom processor machine. 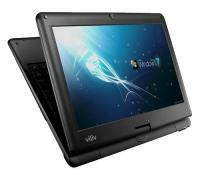 We can get TERRIFIC 12″ machines with full Core 2 Duo and 4gb RAM for much less. 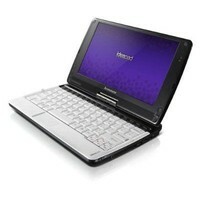 $1000 is a deal breaker for a netbook. The 1gb of ram is a deal breaker for me. I’m not willing to pay the extra price to only get 1gb of ram with no chance of upgrade. Plus its not a 2.5″ SSD, thats required for the small form but makes it harder to upgrade the only one thing that can be changed out. Plus a lot of us already have 2.5″ SSD’s but who has the type to go in a S10 lying around? The T101MT with an SSD upgrade seems like the best buy to me. I just ordered a used HP tc1100 for $319. Amazon is selling the HP TouchSmart TM2-1070US for $876 USD. I don’t have any interest in the Viliv S10 or any of the alternatives listed in the article. The only machines I’m interested in are those with active digitizers good for inking. As I already stated on the original S10 post, it’s indeed a FANTASTIC device (stylish, light, amazing battery life, 2.0 ghz, etc). But it’s WAY over-priced for an Atom processor machine. I mean, at around $1000 you can get a fully-decked 12″ laptop with Corel Duo, 4gb Ram, etc. Heck, you can even get a Mac Book Pro 13″. The more I think about it, I see tablets to be a luxury that doesn’t quite make much sense to pay the premium for. « Ultra Mobile Computing Buyers Guide PDF.